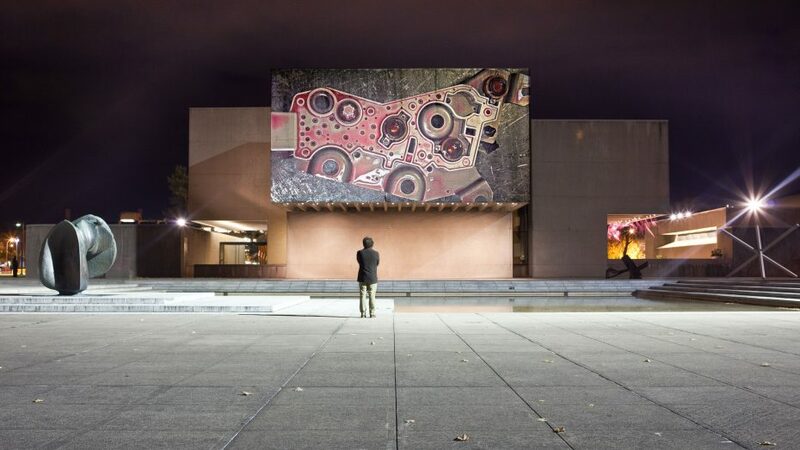 Light Work’s Urban Video Project is pleased to present the exhibition Lorna Mills: Ghost Jets from February 14 to March 30, 2019 at their architectural projection venue on the Everson Museum facade. Mills’ practice regularly makes use of appropriated materials mined from the internet and popular culture, remixing these bits of digital ephemera into frenetic GIF collage. In conjunction with the exhibition, Mills will be present for a special indoor screening of her ambitious project, Ways of Something (Episodes 3 and 4), a collaborative re-make of John Berger’s influential 1972 documentary “Ways of Seeing,” which explored the hidden forces of power, wealth, and desire at work in traditional notions of art. For Ways of Something, Mills crowd-sourced with over 115 digital and new media artists to produce minute long videos inspired by each minute of the original, producing an amazing homage that takes the viewer on a tour art in a post-internet age. Syracuse-based participating artists Emily Vey Duke and Tom Sherman will join Mills for a Q&A following the screening. 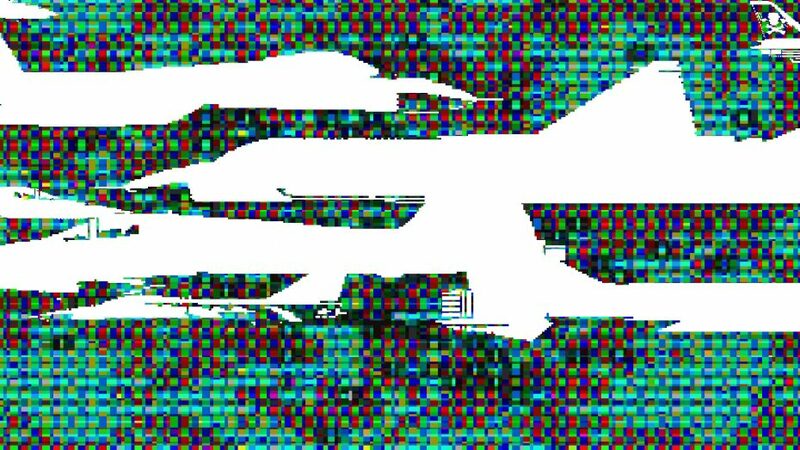 Part of the series “HELLO AMIGA: Peaceable Kingdom,” Mills’ Ghost Jets, which will be on exhibit on the facade of the Everson, re-animates “sprites” from the long-dead Amiga Commodore gaming system. Canadian artist, Lorna Mills actively exhibits her work in both solo and group exhibitions since the early 1990’s, both in Canada and internationally. Her practice has included obsessive Ilfochrome printing, obsessive painting, obsessive super 8 film & video, and obsessive online animated GIFs incorporated into restrained offline installation work. Recent exhibitions include “Abrupt Diplomat” at the Marshal McLuhan Salon at the Canadian Embassy in Berlin, for Transmediale; “At Play in the Fields of the Lord” at Transfer Gallery, Brooklyn, NY; “DKRM” at DAM Gallery, Berlin and “Dreamlands: Immersive Art and Cinema 1905 – 2016″ at the Whitney Museum in NYC, and “Mountain Time/Light” in Times Square, NYC as part of the Midnight Moment program curated by Times Square Arts. In collaboration with the Everson Museum of Art, Light Work UVP is pleased to present this special short exhibition of pioneering video artist Frank Gillette’s 1984 piece In the Creeks on the facade of the Everson in conjunction with the opening of Frank Gillette: Excavations and Banquets inside the Everson Museum’s galleries. Spanning decades, Gillette’s practice displays a consistent concern with the intersection of ecology, technology, and cognition. In celebration of the opening, Everson curator DJ Hellerman will lead a discussion with co-curator David Ross, who curated Gillette’s first exhibition at the Everson nearly 50 years ago, and artists Suzanne Anker and Frank Gillette on Friday, February 8 at 6pm in the Everson’s newly renovated Hosmer Auditorium. In the Creeks can be viewed on the plaza before and after the talk. Part of Gillette’s series for Classical Video — tapes designed to act as non-literal, visual interpretations of classical music — In the Creeks is a lush, contemplative study of the natural microcosm of a creek in summer, transformed into an almost abstract, formalist microcosm. The dichotomy between documented realism and Gillette’s mediated perception is reflected in the work’s painterly interplay of natural textures, pattern, color and form. Using subtle dissolves, in which each image subtly merges into the next, he heightens the sense of natural time. This study in light and movement describes a contained ecosystem, defined within a graceful set of aesthetic parameters, that becomes a metaphorical mirror of cognitive activity. This work is set to the music of Marian Marias’ La Sonnerie de St. Genevieve de Mont de Paris. Music: Marin Marias. 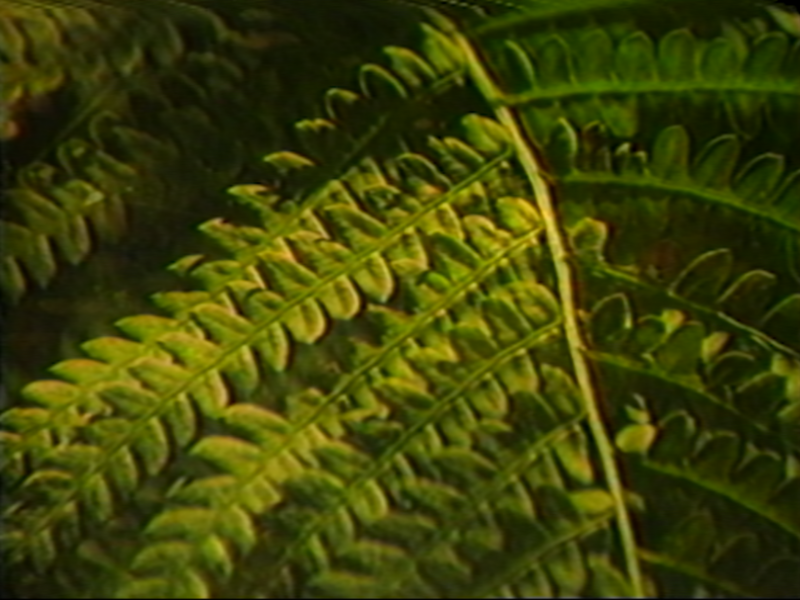 Produced for “Classical Video” by Frank Gillette, James Harithas, and Carol Szymanski. Frank Gillette was born in 1941 in Jersey City, New Jersey. He attended Columbia University, dropping out after two years. He studied painting at Pratt Institute in New York, dropping out after two years. An early theorist of video’s formal and aesthetic parameters, in 1969 he was a founding director and president of the influential video collective Raindance. With influences ranging from cybernetics to painting, Gillette was an innovator of the multi-channel installation form, experimenting with image feedback, time-delay and closed-circuit systems. His seminal installation Wipe Cycle (1969) (with Ira Schneider), was included in the landmark 1969 exhibition TV As A Creative Medium at the Howard Wise Gallery in New York. Gillette is the recipient of numerous awards, including fellowships from the Rockefeller Foundation and the Guggenheim Foundation, and grants from the New York State Council on the Arts and the National Endowment for the Arts. He was artist-in-residence at the American Academy in Rome in 1984-85. He is the author of numerous published works, including Between Paradigms (1973) and Of Another Nature (1988). His work has been presented in solo exhibitions including: The Everson Museum of Art, Syracuse; Contemporary Arts Museum, Houston; The Corcoran Gallery of Art, Washington D.C.; Howard Wise Gallery, New York; Leo Castelli Gallery, New York; Long Beach Museum of Art, California; The Institute of Contemporary Art, Boston; and the Whitney Museum of American Art, New York. In addition, Gillette’s work has been included in numerous group shows including: Kunsthalle, Cologne; Documenta 6, Kassel, Germany; Venice Biennale; The Museum of Modern Art, New York; Carnegie Museum, Pittsburgh; San Francisco Museum of Modern Art; Neuer Berliner Kunstverein, Berlin; and Castello di Rivoli, Turin, Italy, among others. Light Work’s Urban Video Project is pleased to present URBAN RENEWAL, a two-person exhibition featuring multidisciplinary artists Emanuel Almborg and Crystal Z Campbell. 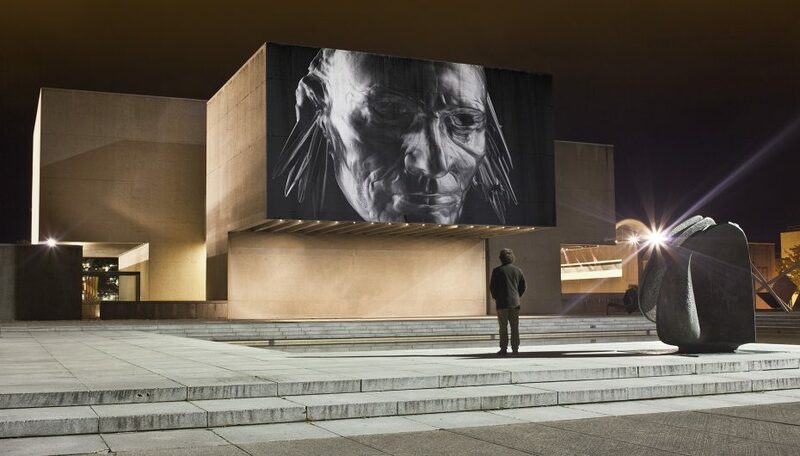 The exhibition will take place at Light Work UVP’s architectural projection site on the facade of the Everson Museum of Art in downtown Syracuse, New York from November 8 – December 22, 2018. Both Almborg and Campbell have a research-based practice, using a blend of archival and original material in surreal, unexpected ways. The works on view in this show explore the complex histories of urban planning and displacement, cycles of urban decay and gentrification. From the utopian ambitions of the urban renewal programs of the 60’s and 70’s to pro-development and privatization policies spun as “revitalization” from the 80s to today, the question remains: urban renewal by whom and for whom? In conjunction with the exhibition, an indoor screening + Q&A with Campbell and Almborg featuring additional works will take place at Light Work’s Watson Theater on Thursday, Nov. 29 from 6:30-8:30pm. A reception will follow. This event is FREE & OPEN to the public. Every Crack is a Symbol (Charlotte Street Project) is a short film that takes as its starting point two events and two kinds of representation of a South Bronx neighborhood in 1980. The horror film Wolfen about killer wolves living in the ruins of the South Bronx and a videotaped protest camp and People’s Convention that attempted to bring together a large coalition of different left social movements and community activists. The horror film was shot in the exact location where 6 months later the protest camp commenced. Both use the urban decay of post-crisis south Bronx as backdrop and symbol in order to generate images, one of demands and radical politics, the other of killer ghost wolves in the ruins of the urban crisis. The horror story of wolves is brought in to relation with urban struggles around and against real estate, finance and neo-liberal policies in the early 1980’s. On the Way to the Moon, We Discovered the Earth is a historical remix of the New York Times newspaper printed during the New York City Blackout in 1977. The 1977 Blackout is unofficially credited with the formal birth of hip-hop, a movement that was already well underway but advanced with equipment looted during the riots. Futures for Failures is double narrative of failure: architectural and social. Archival footage from a demolition of the Pruitt-Igoe building in St. Louis becomes the materialization of failure. Meanwhile, a voice-over recounts a moment of contagious laughter erupting during a stranger’s funeral. The film is an anachronous conversation between the disappeared and the disappearing. Emanuel Almborg is Swedish artist living and working in Stockholm. His research-based work explores themes of collective action, political economy, and radical pedagogy and manifests in a range of practices and media, from moving image and installation based work to publications to participatory programs. He received his MFA from Goldsmiths College in London and participated in the Whitney Independent Study Program. He has exhibited internationally, including shows at Whitechapel Gallery and Gasworks in London, UK; Konsthall C in Stockholm, Sweden; Gallery 400 in Chicago, Illinois; and Participant Inc. in New York City. Crystal Z Campbell is a multidisciplinary artist and writer of African-American, Filipino & Chinese descents. A former social worker, Campbell’s practice incorporates archival material and historical traces to question the politics of the witness. Recent works include investigations of Henrietta Lacks’ immortal cell line, the 1921 Tulsa Race Massacre, and gentrification via a 35mm film relic salvaged from a now demolished black Civil Rights theater in Brooklyn. Campbell exhibits internationally, including past exhibitions at Studio Museum of Harlem and SculptureCenter in New York City; Project Row Houses in Houston, TX, de Appel Arts Centre in Amsterdam, NL, amongst others. Selected honors, fellowships, and residencies include the MacDowell Colony, Skowhegan, Rijksakademie, Whitney Museum Independent Study Program, Smithsonian, Flaherty Film Seminar, M-AAA Innovations Grant, Sommerakademie Paul Klee, and Yaddo. Campbell is a third-year Tulsa Artist Fellow, current Drawing Center Open Sessions Fellow, and recipient of the prestigious Pollock-Krasner Award. Light Work’s Urban Video Project (UVP) is pleased to announce an exhibition of work by celebrated filmmaker, Kevin Jerome Everson. The short pieces Act One: Betty and the Candle and Grand Finale will be on view at UVP’s outdoor architectural projection venue on the facade of the Everson Museum of Art November 9 – December 23, 2017. This exhibition will be paired with an indoor screening of Everson’s feature length film, Erie, as well as recent short works by the artist on Thursday, November 16 at the Everson Museum. Kevin Jerome Everson will be present in-person for a Q&A following the screening. Act One: Betty and the Candle is a film based on two Gerhard Richter paintings and concentration. It is one of several single take vignettes appearing in the feature film Erie, filmed during a residency at Hallwalls in Buffalo, NY. Grand Finale is the end of a lovely July 4th evening in Detroit. Kevin Jerome Everson (b.1965) was born and raised in Mansfield, Ohio. He has a MFA from Ohio University and a BFA from the University of Akron. He is Professor of Art at the University of Virginia, Charlottesville. His films have been the subject of mid-career retrospectives at the Viennale (2014); Visions du Reel, Nyon, Switzerland (2012), The Whitney Museum of American Art, NY (2011) and Centre Pompidou, Paris (2009). His work was featured at the 2013 Sharjah Biennial and was included in at the 2008, 2012, and 2017 Whitney Biennials. Museum retrospectives include Modern and Contemporary Art Museum, Seoul, Korea (Feb. 2017) and Tate Modern, London, UK (Fall 2017). His work has screened widely in film festivals around the world, including Sundance, Toronto, Venice, Rotterdam, Berlin, New York, Ann Arbor, AFI, Oberhausen; and in cinemas, galleries, and museums, including Whitechapel, London; Wexner Center for the Arts, Columbus, OH; Museum of Modern Art, New York; & REDCAT, Los Angeles. Everson was awarded the American Academy Rome Prize in 2001 and the Alpert Award for Film/Video in 2012. He has been an artist-in-residence at Hallwalls Contemporary Art Center, Yaddo, and the MacDowell Colony. He has received fellowships from the Guggenheim, NEA, NEH, Ohio Arts Council, and the Virginia Museum as well as numerous university fellowships. He is the recipient of grants from Creative Capital and the Mid-Atlantic Arts Foundation. Water Way is a special week-long exhibition at UVP’s outdoor architectural projection venue on the facade of the Everson Museum celebrating the 2017 World Canal Conference taking place in Syracuse this fall. The program will be on view each night of the conference, from September 24-28, 2017. Water Way features videos by youth from canal towns around the world exploring the continued cultural impact of canals on their lives. This project was supported by the New York State Council on the Arts with the support of Governor Andrew M. Cuomo and the New York State Legislature. Additional works will be on view at other locations (see below). Light Work, Urban Video Project (UVP), and the Everson Museum of Art are pleased to present three concurrent exhibitions of work by multimedia artist Suné Woods. 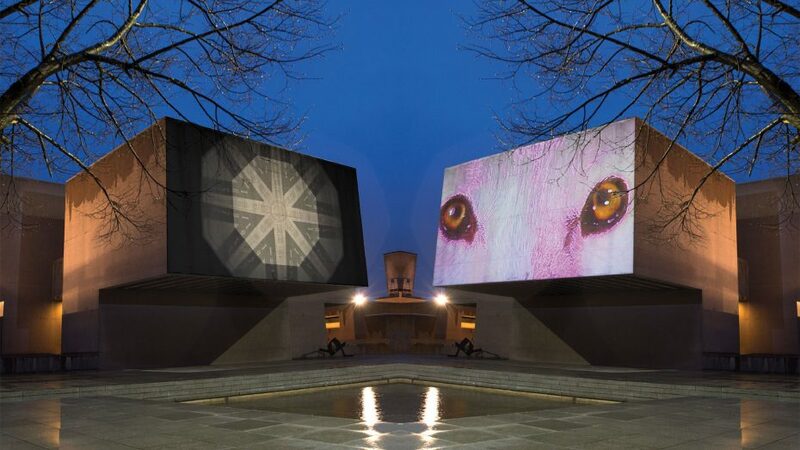 UVP will feature Suné Woods: A Feeling Like Chaos at their outdoor architectural projection venue at the Everson Museum of Art during the months of September and October. Woods’ work will also be on view inside the Everson Museum of Art’s Robineau Gallery in When a Heart Goes Scatter, Scatter, Scatter and at Light Work’s Kathleen O. Ellis Gallery in To Sleep with Terra. Please see sidebar for more information on concurrent exhibitions. PLEASE NOTE: There will be a brief break in Woods’ exhibition at UVP the week of September 24-30 so that we can bring you Water Way: canal culture through the eyes of youth from around the world during the 2017 World Canal Conference, which will be held in Syracuse. [A Feeling Like Chaos] attempts to make sense of a continuum of disaster, toxicity, fear, and a political system that sanctions violence towards its citizens. The characters in the work take on roles such as conjurer, guerilla, or wandering sage. I am invested in tangible interactions between people and how one maintains intimacy during turbulent social climates. The video features elements from Woods’ photo collage series that will be on view at Light Work as part of To Sleep with Terra. Collage seemed the best way for me to articulate all the complicated sensations that were arising for me while processing these streamed documentations of violence, ecology, and a desire to understand more deeply how seemingly disparate things relate when they are mashed up in a visual conversation. Suné Woods has participated in residencies at Headlands Center for the Arts, Vermont Studio Center, The Center for Photography at Woodstock, and Light Work in Syracuse. Woods is a recipient of the Visions from the New California initiative, The John Gutmann Fellowship Award, and The Baum Award for an Emerging American Photographer. Her work has been exhibited at the Brooklyn Museum of Art, The Lowe Art Museum, Miami; and The San Francisco Arts Commission Gallery. She received her MFA from California College of the Arts in 2010 and currently is Visiting Faculty at Vermont College of Fine Art. All Urban Video Project exhibitions are made possible through a generous grant from the New York State Council on the Arts with the support of Governor Andrew M. Cuomo and the New York State Legislature. *You are mine. I see now, I’m a have to let you go is presented with the generous support of the Syracuse University Humanities Center as part of 2017-18 Syracuse Symposium: Belonging.